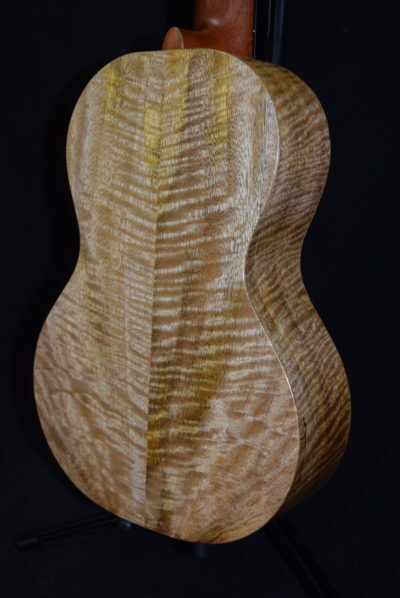 The Mele Custom Series Guitarlele #MCG1 could also be considered a half-sized guitar. 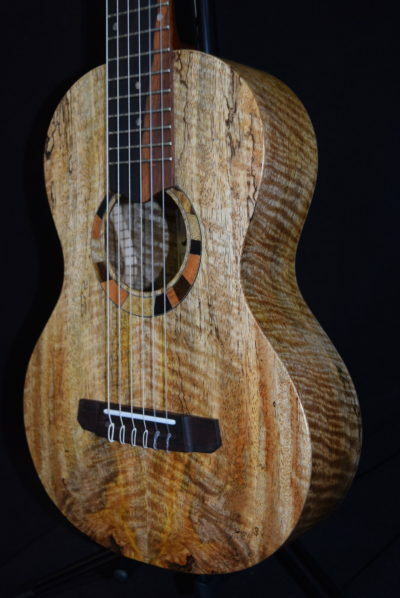 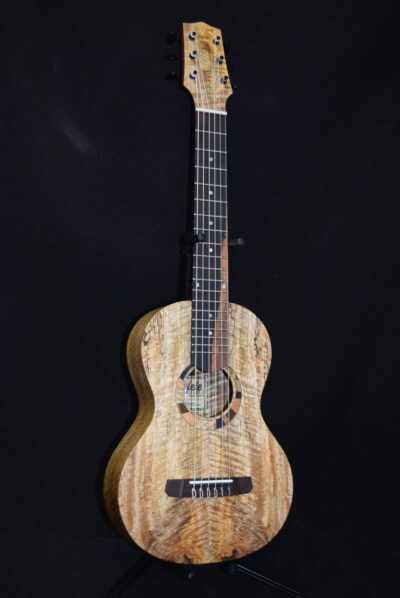 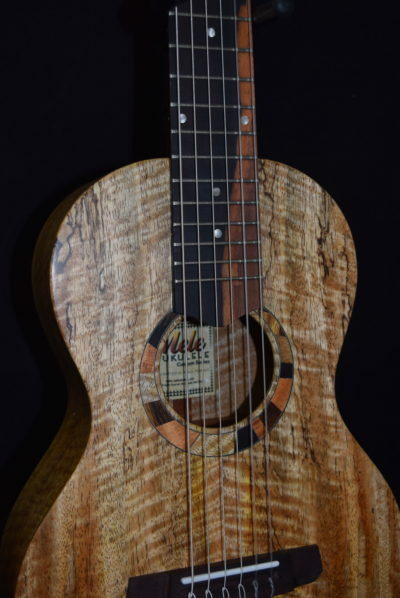 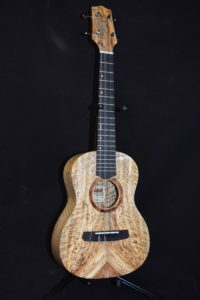 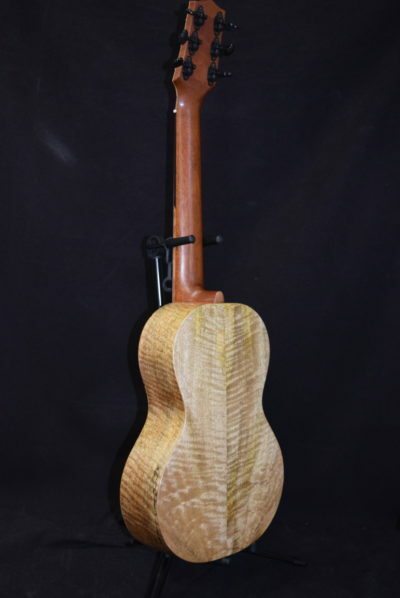 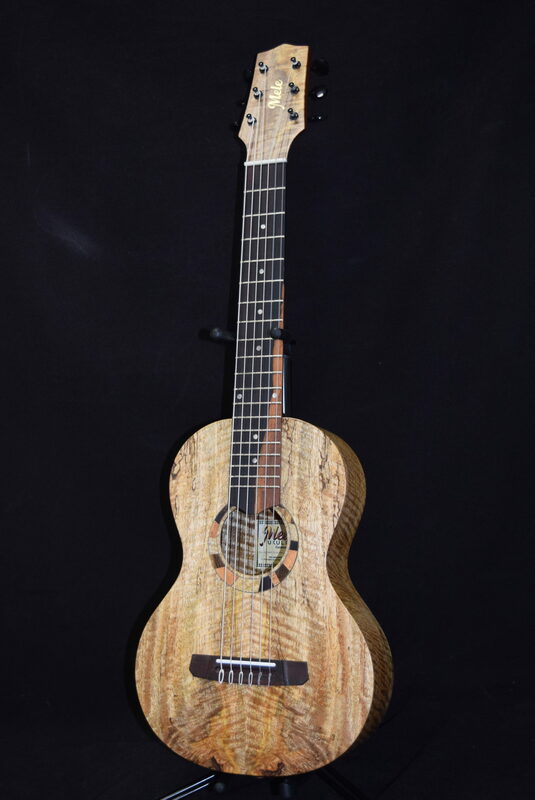 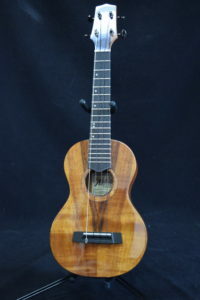 Even smaller and less expensive than the Mele Travel Guitar, it’s basically a baritone ukulele with the neck widened enough to add a low “E” and “A” string; thus it has 6 strings in regular “E” guitar tuning. 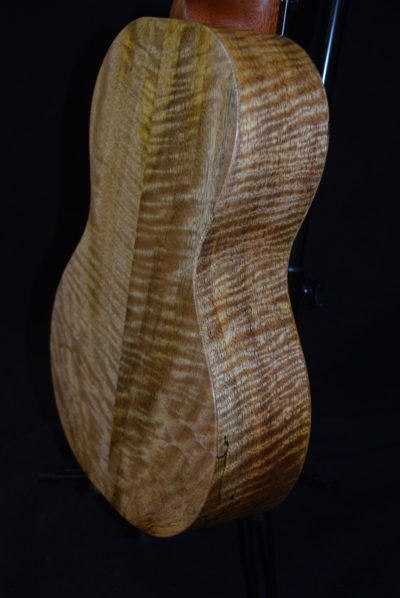 An excellent travel companion for the classical guitarist; or any guitarist, for that matter! 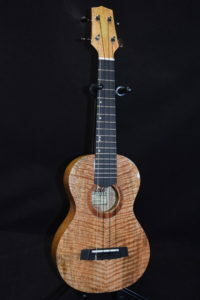 Fits nicely into a baritone ukulele case, which fits into the overhead compartment on all commercial airliners, so the baggage handlers don’t get a chance to destroy it. 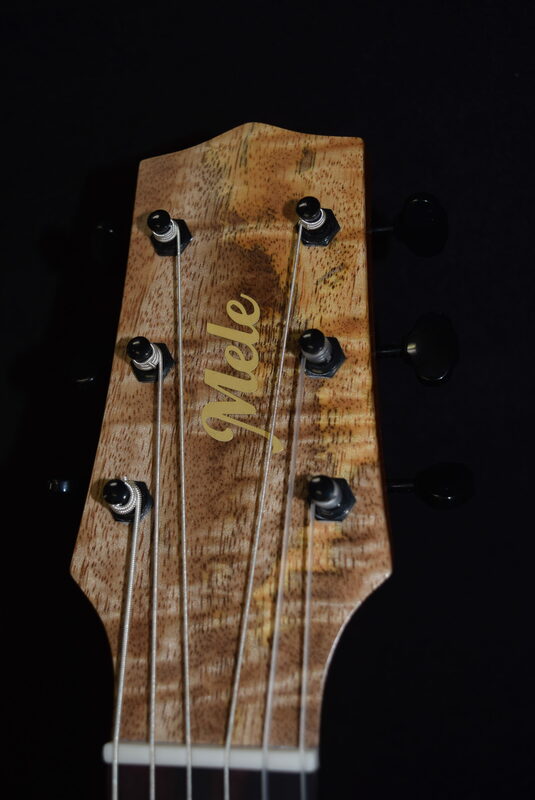 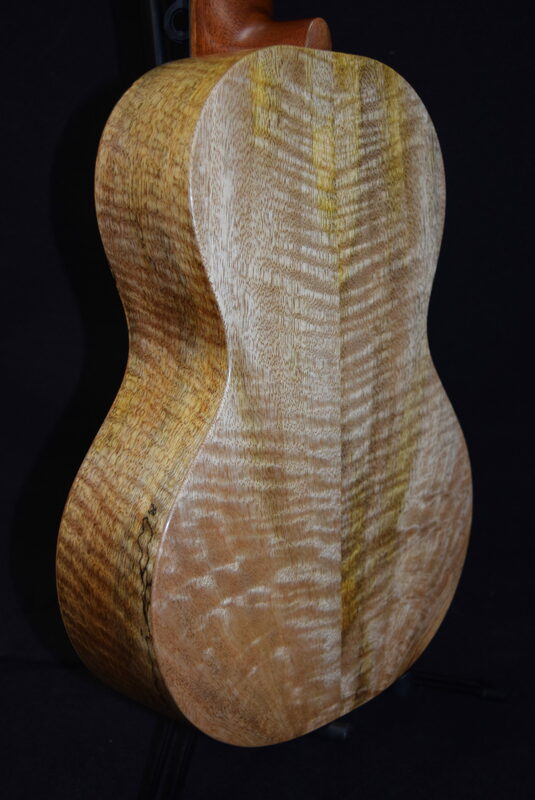 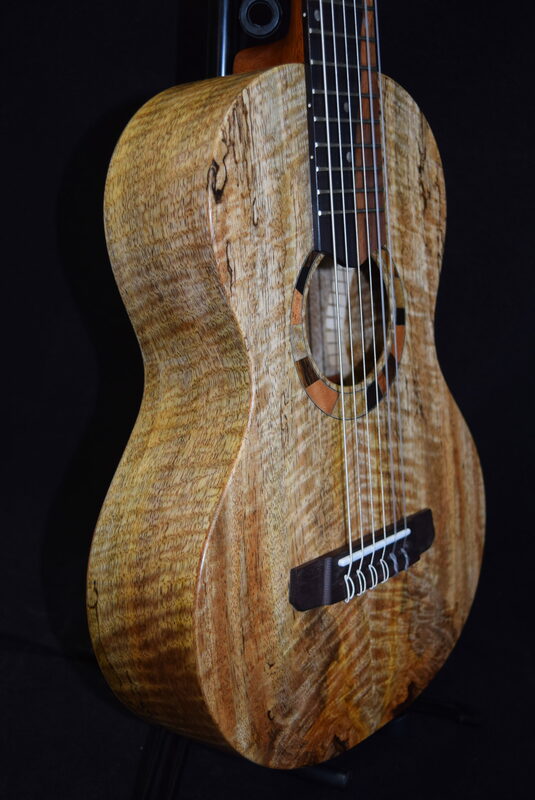 This Mele Mango with unique multi-wood rosette, Guitarlele #MCG1 has many different looks from your standard, non-curly,non-glossy versions starting at $849. Made of Maui Mango Wood from Hana . 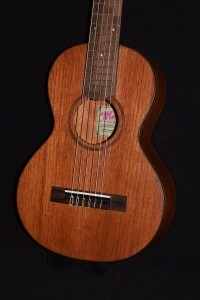 The unique fretboard made from 2 tone Ebony wood .